Can you believe that Christmas is just a few short days away? I seriously can't. Luckily, I finished all of my Christmas shopping last weekend because Target was a nightmare. I only had a few stocking stuffers left to get, but the lines were crazy, the people were mean and I was ready for a drink or three. This weekend, I only need to go to the grocery store for Christmas dinner fixings, things to make cookies, cinnamon rolls and any other meals we plan to make in the next week. How much will you all be reading next week? I am gauging how many posts to post. I have one planned for Thursday which is an interview with my girls. I did a 4 year old interview with them this week and it is just the cutest. But I want to know if I should write a few posts for next week, or just let it be. I do have to work on Christmas Eve, so I know I will be reading that day and Thursday and Friday. ONE. When I was in Scottsdale, I happened to go into the Urban Outfitters store looking for a neon light for the girls room (this one to be exact) that I had seen online and I came across the coveted button up thermal. I decided to try it on since I had seen one on Amazon that I thought about getting. Well this one fit really well, was soft and I knew it was coming home with me. It was normally $44, but when I went to check out, they had 30% off their sweaters and cold weather gear and it was already on sale for $39, so I got it for $27.30. More than the Amazon one, but I know this one has great reviews on it. TWO. 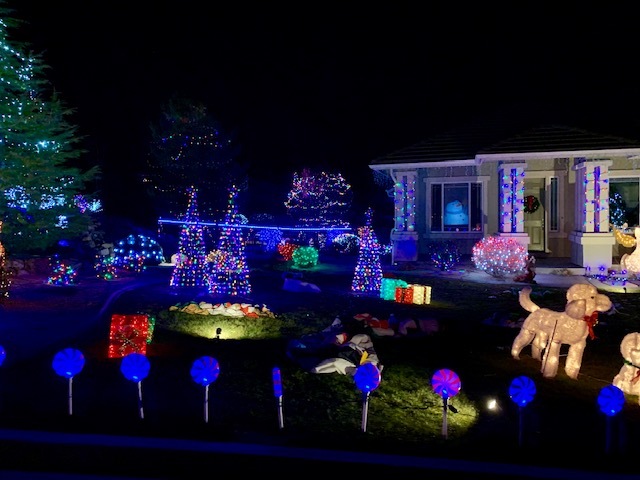 We checked off Christmas light looking off our Winter Bucket List last weekend. We went on Friday and Sunday. Friday was around a big neighborhood that has a yearly contest. Sunday night was about a 25 minute drive from our house. 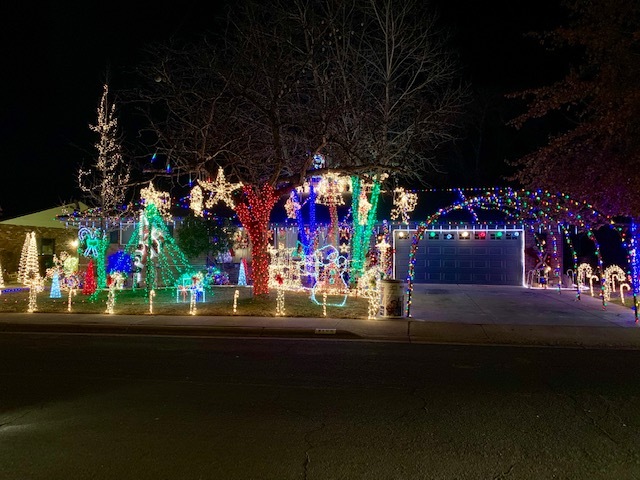 We saw three different huge light displays out there, but sadly, the one I drove out there for is not longer doing Christmas lights. That was a bummer. 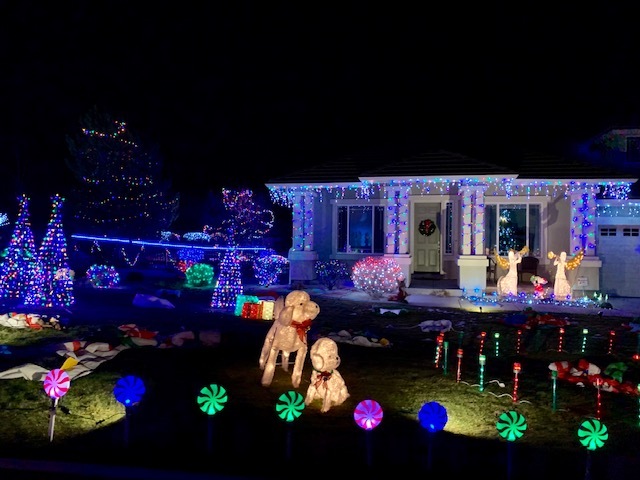 We also drive by some houses in our neighborhood nightly for the girls to look at those Christmas lights. I will be sad when all the Christmas decorations and lights are taken down. THREE. So after hearing so many good things about Mario Badescu's Drying Lotion, I finally bit the bullet and bought some. For the last year or so, I have been getting small zits that just won't go away. I get extractions when I get a facial (so painful), I wash my face twice a day with a great cleanser, I try not to touch my face, and I try to manage the stress (as much as I can). But after hearing that about the drying lotion and how it zaps away your zits while you sleep, I had to give it a try. And so far it has been great. It is $17 per bottle, but I feel like it will last forever since you only use a tiny bit on the zit itself. FOUR. I really wanted soup this week and was going to go to one of my go-to's, but Rory suggested we try a new one. I looked in my Pinterest board and decided to make the Minestrone Soup that I have had pinned for awhile. This recipe calls for bulgar which I had never heard of or used before, but it was a really good addition. Instead of pasta, use the bulgar. It gives a chewy texture and really adds to the dish. We loved the way it turned out and will definitely be making it again. Plus it is an instant pot (that is the one I have and it is on sale for $90 right now) meal. FIVE. Last year, I shared my Cinnamon Rolls with you all. I wanted to share the post again seeing as I will be making them again this year, but this time we are making them at my parents house on Christmas Eve. The girls will be helping us and I am amping up the filling more this year. The cinnamon rolls and soup look amazing! The light tour was so pretty too! Have a fine festive weekend pretty lady! They are both tasty! I hope you have a great weekend too! Now, I want soup and cinnamon rolls at 9am! hahaha I personally don't plan on posting next week expect for one already schedule Merry Christmas post. I'm sure I will be popping on to see if people posted but I'm taking a break for the week. Haha. They are both amazing. I should have taken a break, but with the girls birthday next week, I had to share some posts. I hope you have a Merry Christmas as well! You're making me hungry! 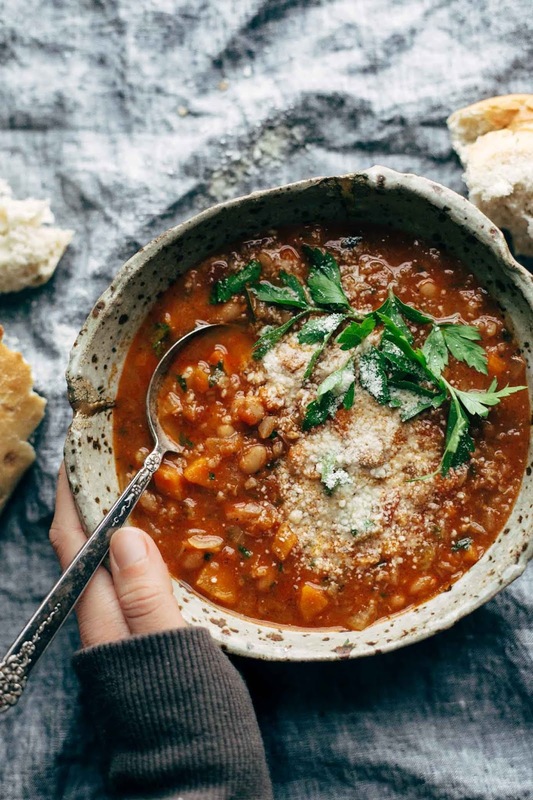 Give me all of the soups in winter. :) Target has been RIDICULOUS lately, hasn't it?! I'm happy to be done with that part, too! Hope you have a wonderful holiday! I am sooo happy to be done too. Now onto baking. Happy Holidays to you too! That soup sounds good! I've had bulgar before but never cooked with it! Love all those lights! It was my first time using and eating it and I really liked it. Have a great weekend! I'm obsessed with the MB drying lotion too! My esthetician recommended it earlier this year and it works like a charm. I only have one post next week because I want to take time off from the blog to enjoy the holidays. Wishing you and your family a happy holiday!! I totally get that. I have some posts scheduled for my girls, but that is about it. Have a wonderful Christmas! I am so mad... I placed my grocery order last night to pick up today because I knew the grocery would be CRAZZZZY this weekend - & I totally forgot my cinnamon rolls. UGHHH! I'll have to venture into the craziness afterall. Hope you have a wonderful Christmas!!!! 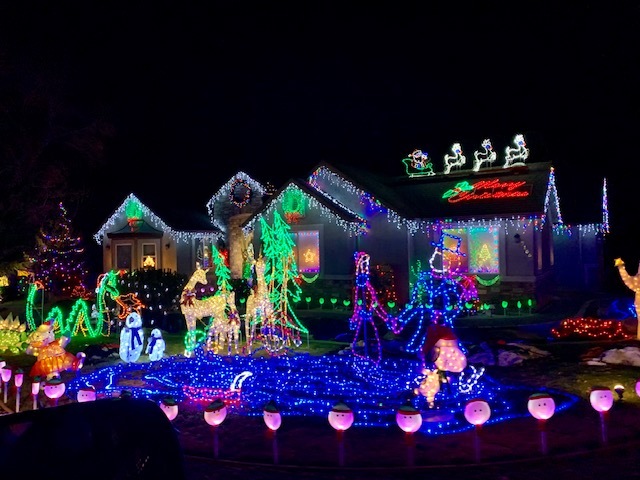 I had to look at local mom blogs to find some of our lights. You might try that. You should try the lotion. It is the only thing that has helped me. Have a Merry Christmas!!! 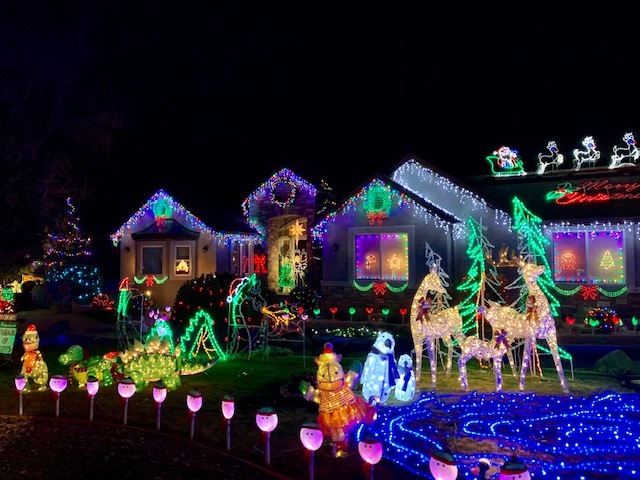 Some of those Christmas lights are amazing! Wow! I love them. They are so much fun to go look at. My girls ask to go nightly. Oh I will definitely look into those. Thanks for the recommendation! Wow! Those houses were really decked out for Christmas; how fun! I am going to save your cinnamon roll recipe... we always do those on Christmas morning and yours sounds delish! So many pretty and festive lights! 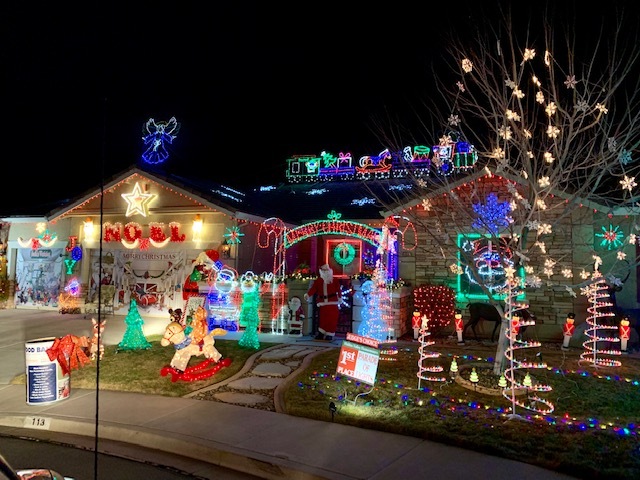 We have very few houses near us that decorate so it's tough to do out driving around looking for them. We do pick a place to go walk through and see lights each year which is great as long as it's not too cold. That soup looks delicious! I made cinnamon buns for Christmas morning last year too and while we just LOVED them we're going to hold off until New Years for them this year.